Is there a reason it won't fit? Did I buy the wrong item? Nothing on the mirror itself seems damaged at all. It seems like the tabs on the cover I purchased aren't positioned in a way that will insert into where they are supposed to on the mirror body. Who made it? Ford or aftermarket...like Sorta-fit....er I mean certi-fit? I have no idea. I doubt it's genuine Ford. 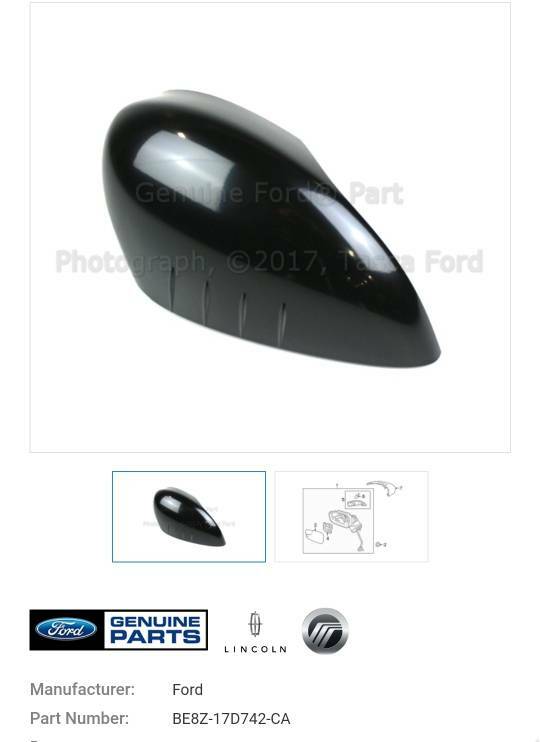 Where can i find genuine OEM ford parts? Sometimes the Manufacturer/ford will make covers on a short Run and come pre painted. 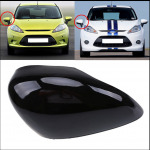 The will sell them until thet are out and then go to selling the mirror as a whole assembly and it most likely will need to be painted. Good luck.....id contact any for dealer to see what they say just for poops also. Going to cost you if you want Ford OEM. You'll need to buy the part then get it painted. 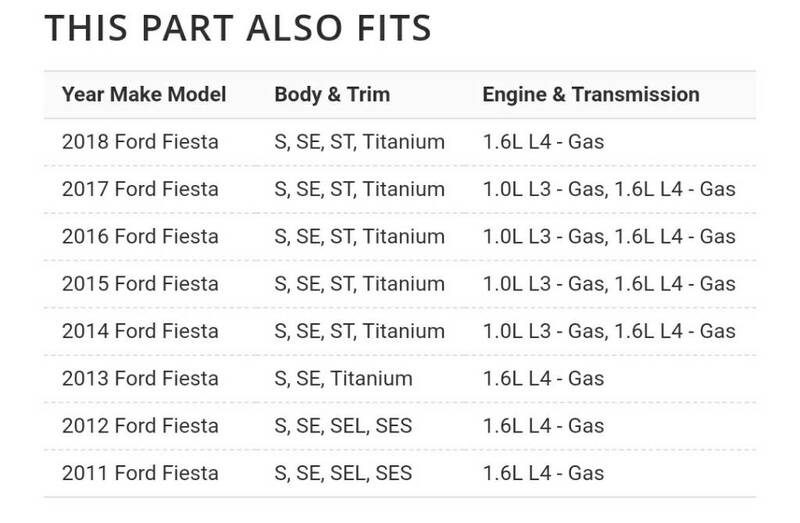 Probably much cheaper to search a junkyard for any black Fiesta since it looks like its the same part for all years. Those Fiestas you pictured are Euro models. The picture of the cover also looks different, it doesn't have the little knobs. Tasca is great for OEM parts. Also found it on Amazon.